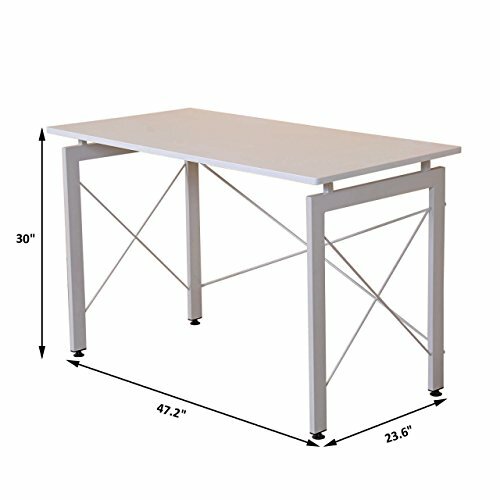 Laptop Computer Wooden Desk Study Writing Table Workstation Home Office Decor Furniture/ White. Strong bearing capacity for made of sturdy wood and durable steel legs. The work area highlights metal bars with X-shape that upgrades its look and solidness. Durable plastic foot pad: Ø1.4"
Side support metal wire: Ø0.2"
Rear side support metal wire: Ø0.3"